On Sunday, October 8th, 2017, North Scottsdale celebrated the 14th Annual Tour De Scottsdale, the community’s signature cycling event. 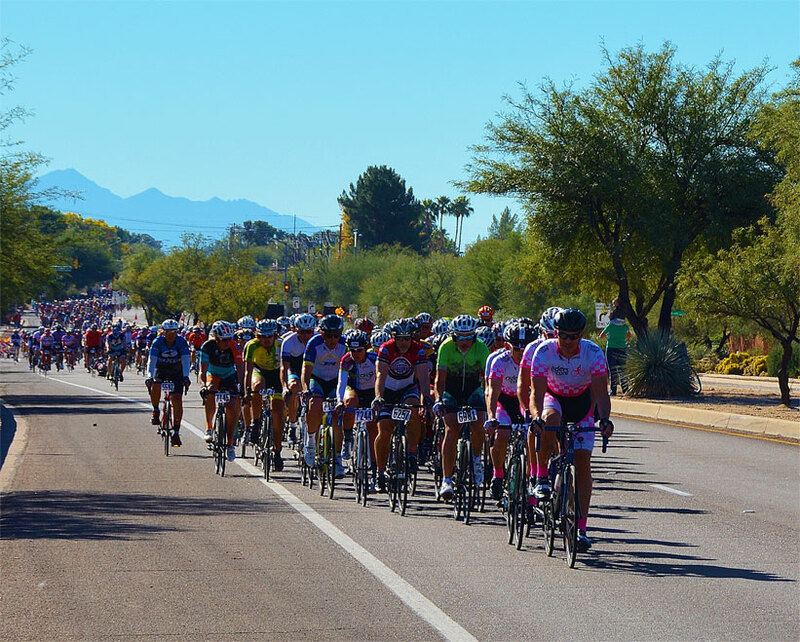 Approximately 1,500 cyclists participated in the 70-mile ride or the 30-mile citizen’s ride that stretches across the Northeastern Valley including north Scottsdale, Rio Verde and Fountain Hills. Each year, the community has seen the charity event grow in popularity as it welcomes predominantly Arizona residents but also riders from as far away as Germany. 100 percent of the proceeds from each Tour De Scottsdale benefit the McDowell Sonoran Conservancy, a nonprofit organization dedicated to preserving and protecting this natural wildlife habitat. To date, the event has raised over $500,000 to support the Conservancy. You are balanced, vivacious and serve as an endless source of inspiration and knowledge. As a regular “go-to,” your friends seek your advice on xeroscaping, keeping ground squirrels at bay and finding the best new martini bar. Part tour guide, horticulturist, stargazer and early adopter, you embrace a passion for all things natural and historic, an appreciation for new knowledge and are happy to share your experiences with others. Imagine living in the best of both worlds – surrounded by 30,000 acres of untouched natural preserve yet a quick drive down the hill to thriving Scottsdale. The Storyrock lifestyle calls to your love of modern and ancient in your quest for life-long learning. As a desert athlete, open skies and open trails are where you can be found, often way before the weekend crowds sip their first cappuccino of the day. Whether work, sport or play, it’s not worth the effort unless your stamina and grit are put to the test; each day is a challenge of your personal best in a race for excellence. With over 30,000 acres of natural preserve all around you, come see how life at Storyrock can serve as your backyard training grounds – and help you set new heights. You live a life of purposeful reflection – which means your surroundings are key to supporting your mood, insights and inspiration. Serenity and privacy recharge your batteries each day and you seek the space, place and pace that allows you to do your best creative work, in harmony with your values and personal growth. With 360-degree views of the McDowell Mountains and natural preserved land surrounding you each day, come see how Storyrock can be the living sanctuary you seek for the lifestyle balance you love. Feeding the desert tortoise, watering the succulents, & firing up the espresso machine. Hiking past the first summit — it's quiet, awesome & epic up here. Slider doors wide open, but I'm sleeping in 'til 8 — it's how I roll. Emailing volunteers for tomorrow’s New Stewards Class at the McDowell Sonoran Conservancy. Lovin’ the life/work thing — a few conference calls from the home office. A mimosa on the patio with a few neighbors. Yes, please! Book some tickets at the MIM, then tapas at our fav patio cantina. No time to stop, 3 miles left to go and I’ve got a PowerBar® in my pocket. Whip up my own paella; thank you, Classic Cooking Academy! Planning our spring hiking trip to Peru. Enjoying quality time with the dogs — they get to run trails with me tomorrow! Remember that paella? It’s best-served overlooking Troon Mountain, with a 2007 Bodegas Lan Culmen Reserva. Back out on The Preserve with telescope—there’s a meteor shower tonight. Diving into bed, the Scottsdale Triathlon is next week. Capturing burrowing owl footage with my new infrared lens.